Weight (g) Weight (oz) WHAT ELSE IS IN THE BOX? -> Please note these toes are SOLD INDIVIDUALLY so consider buying two if you have a pair of skis that need fixin'. 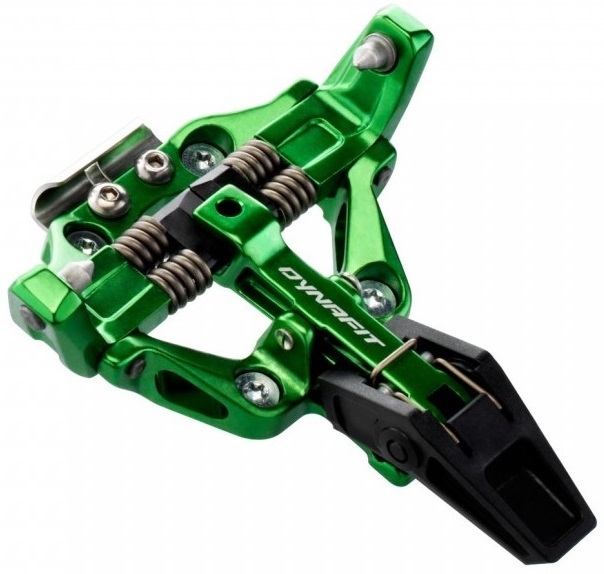 Also note that often Dynafit does not include removable crampon receptors or screws with replacement toe pieces as shown above. Same goes for Radical ST / FT base plates. All of those goodies can be found in our listing for parts. Also see our listing for heels. Low Tech Race toes are available in auto-locking and manual versions. Auto-locking means the toe tends towards walk mode when stepping in, whereas manual means you must pull the toe lever up to lock it. ** Please specify RIGHT or LEFT RC1 toe in the order comments and we'll see what we can do. I picked up some speed turn 2.0's last year, and while I haven't had too many problems with pre-release, I have had enough where I'm scared to ski them on anything with sliding fall potential. The toes seem to release on jump turn type moves. Do you think an ST radical toepiece with the wings would have more beef for rotational turns on the steeps? Pete- Pre-release is due to the smaller amount of elasticity in tech bindings. I would first try turning your lateral release on your heel (the big flat head screw) up one notch and see if that helps your issues. To answer your question though the radical st toe is not any beefier. The wings are to assist with step in. There are toes from other brands that offer more retention. I have a set of the original hoji beast 16s with toe pieces that seem on the verge of failure, the beast 14 toe piece is the same as the radical 2.0 ST/FT which is in turn almost the same as the rotation 10/12, would the ST rotation toepiece be a viable match with my beast 16 heels, which are basically identical to the beast 14? Jeff, All your deductions are correct about the toe pieces. Whether or not the release values will align to spec, I cannot /would not say. I have a set of dynafit tlt speedfit toe pieces that are causing me trouble. One prereleases unexpectedly and the other has the little plastic bit that keeps the toe locked in tour mode sheared off. Do you have a better alternative that would fit the same whole pattern? 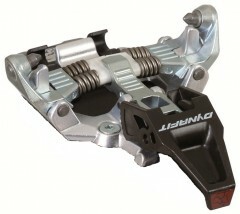 Hi John, all of the Radical, Turn, LTR, and PDG bindings use the same toe hole pattern as the Speed. The Radical are the most popular. I have brand new Scarpa F1 boots with brand new Speed Turn 2.0 bindings. The toes are very hard to release (impossible at times) when the heel is locked (ski mode), and moderately hard to release with the heel in tour. These problems do not exist with the new boot in old bindings, or old boots in the new bindings. I have never experienced this in 12+ years of tech setups. Have you run into this issue, or perhaps have any sage advice? Hey Mark! We have run into issues like this before a few times. Because there is no standardization as far as wing clearance, boot sole rocker, boot lug height, etc, there are a lot of variables at play. If you pop the boot into the binding and try to open the toe piece (while not wearing the boot), see if the rubber is hitting the toe wings at all. If it is, grinding the rubber down might mitigate some of these issues and gain more clearance for the binding to open. What (if any) Dynafit toes share the hole pattern of the Speed Radical? I have some SR toes I wouldn't mind eventually swapping for something lighter and red if possible lol. PDG toes match? Superlites? 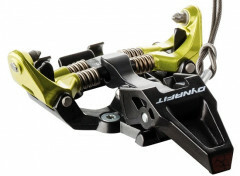 Hi mbillie1, lots of the toes use the Radical pattern, including the Superlites, LTR/PDGs, and Speed Turn 2.0s. We nerded out with the calipers and documented all the mounting patterns here. Are any of these the 12 din rotational toe? Hey Eric! 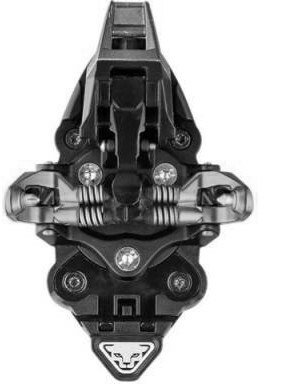 Yeah, the Radical 2.0 toe is the same one on the Radical 2.0 ST and FT. We don't have the new ST Rotation 10 or 12 toe though if that's what you're going for. Should see those soon I believe? Are the toes the same for the black and white versions of the Superlite 2.0? Structurally, yes. Aesthetically, no. Just a lever difference, everything else is the same though. The Radical ST/FT toe pretty much is (or at least should be) the standard for low tech toe pieces. It's only 63g heavier than the Superlite, but it clicks in more crisply, and feels stiffer when making turns. These strike the right balance of weight/durability/performance. Hi Pietr, I would say there are some exceptions, like the RC1 and Low Tech Race. Many seem to work, though you probably want to check your release values. The Speed Radical / Radical ST toes are the burliest. I have a radical 2.0 with the rotating toe piece. I try to carry a spare toe piece to get home or on remote trips in case the unthinkable happens. Are any of the lighter/less pricey toe pieces compatible with the hole pattern for the 2.0? Hi Peter, unfortunately not, sorry! Hi, I have dynafit baltoro skis and I need a front binding, would you have it? Hey Roland! Dynafit had a few skis with pre-drilled inserts in the past, but I didn't think the Baltoro had those inserts.  Could you send a picture of the ski with a binding and the ski that's missing a binding and maybe we can clear this up? I'd rather not assume something and possibly get you the wrong toe piece. 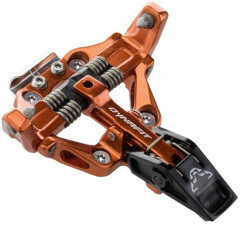 I just bought a pair of the Speed Turn 2.0 toes to use for a TTS setup. They didn't come with any sort of baseplate. Are they meant to be mounted directly to the ski? When the pins are in the closed position, the lever that extends under them protrudes slightly below the base of the binding, so it doesn't sit flat. Hey Dan! 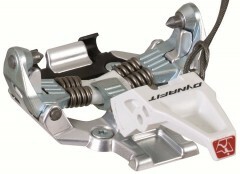 Speed Turn 2.0 toes should come about as bare bones as it gets, just the toe piece, 4 screws, and a crampon clip. 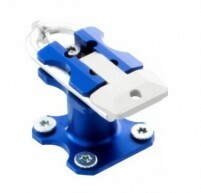 They're designed to be mounted directly to the ski (unless the TTS system you're using requires a baseplate, then it'll mount to that as long as the hole pattern is correct). The lever will protrude below the baseplate when there's no boot in it, but once you pop a boot in there it'll widen the pins up and prevent it from bottoming out like that. That's a negative on the hole patterns, they are not compatible. However, any of the Plum toe pieces will work withe the exception of the Plum Yak. You can find our chart of hole patterns here. I was wondering if this toe piece can be adapted to slip onto a regular demo-adjustable base plate so that I can switch it out for the regular downhill toe binding. 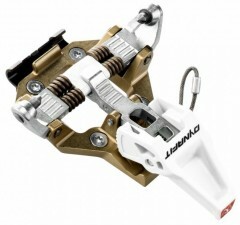 I'm looking to keep the cost down for alpine touring gear for my 10 year old son and this appears to be the solution. Check out 5:40 on this you tube clip. Hey Chris. Dang! That's a slick setup! Yes, the toe piece will absolutely work, but I think the bigger issue will be finding the rental plate in that video. Even once you find it and get it mounted you'd still have to make sure he's in a boot that fits both an alpine binding (potentially even a kids alpine binding if that's what he's in) and also a tech binding. If you do find such a boot to meet all of those requirements then in my mind it makes more sense (financially, operationally, mentally for you and him) to just stick with a full blown tech binding. Hagan's Z02 Junior Binding will work if he's in a junior boot. Contour's Kids Touring Adapter is a solid option, especially for the cost. We're expecting more of those in the coming weeks. Otherwise if he has a tech boot that already fits him then a full blown tech binding is likely the best option. Hey Phil, thanks for reaching out. Yup, we sold out of our first run of those pretty quickly and don't have a ton of plans to buy more (though that will likely change, but I can't promise anything). The Speed Radical toe piece is slightly heavier, but that comes in the form of the Power Towers and a slightly different crampon receptor. I have the Radical 1.0. Do the Speed Turn 2.0 toes use the same mounting pattern? Are the pins essentially in the same place? Does the Low Tech Race / Superlite use this pattern as well? Hi Bobby, yes the Speed Turn 2.0s have the same mounting pattern as the Radical 1.0s. Pins are in the same place fore/aft, but would be lower since the Speed Turn doesn't have a baseplate. Same toe pattern for LTR & Superlite but different heels obviously. are these sold as a pair or just a single toe piece? Hi Matt, all of these are sold individually. I read through the questions and got close but not quite the answer I'm looking for. I'm looking at the Radical ST/FT for a TTS setup. I'm confused about the base plate setup, whether I would need it and if it's included. Looks like screws aren't included - I'm guessing you sell them separately. Thanks! 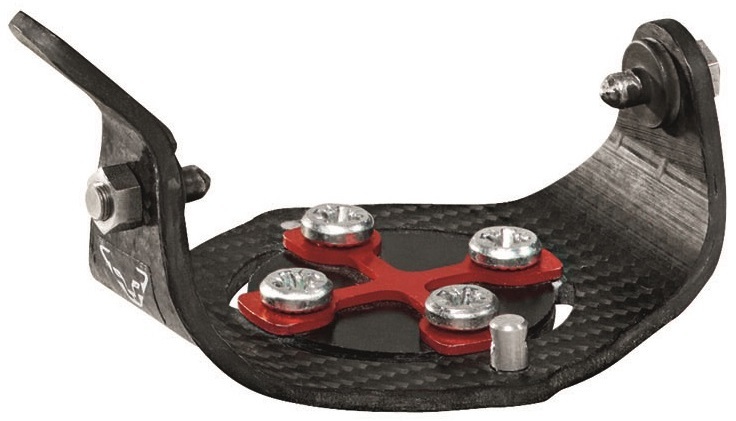 Correct Dan, the baseplates (not necessary for TTS afaik), crampon receptor, and screws are separate and listed here. Hi Troy, you can mix and match to some degree, but there are exceptions and variances in pin heights. Send us an e-mail to verify your plans. Have you ever heard of anyone putting these on classical style roller skis and using them for uphill training/double pole workouts? Seems like it would work great but there must be some issue? Hi Aaron, yes folks have done that. Various kiting skates too.